Products for sale from Automation Artisans Inc. Discontinued except for volume orders. 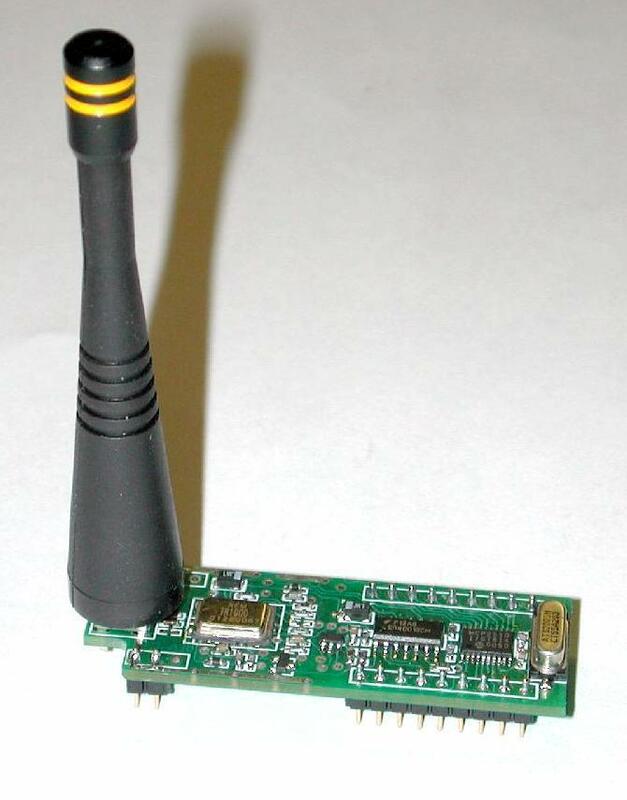 CANRF is a Wireless Controller Area Network (CAN) driver in a DIP40 package operating at 20kbps (900MHz, 868MHz) or 10kbps (433MHz) available with or without the Microchip MCP2515 SPI based CAN controller. When used without the MCP2515 the CANRF is connected to the CAN controller just like an 82C250 CAN driver with a CAN_TX, CAN_RX along with +5Vcc and a ground line. 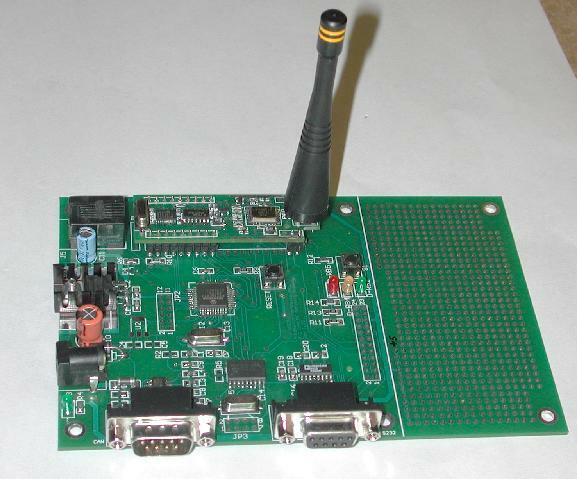 The PIC CAN Activity board uses a Microchip 16F877 processor and includes a MAX202 RS232 driver along with the MPC2510 CAN chip and 82C250 driver interfaced to DB9 connectors. Along with a protoype area there are connectors for add on cards and an RJ connector compatible with the Microchip ICD flash programmer. The CANRF plugs into the dedicated socket and an EEROM location selects between the on board MCP2510 or the CANRF MCP2510 so that the extensive Monitor application can work with either CAN device. In an effort to reduce Internet traffic this page has been designed to use minimal HTML features and uses thumbnails that link to larger photos.